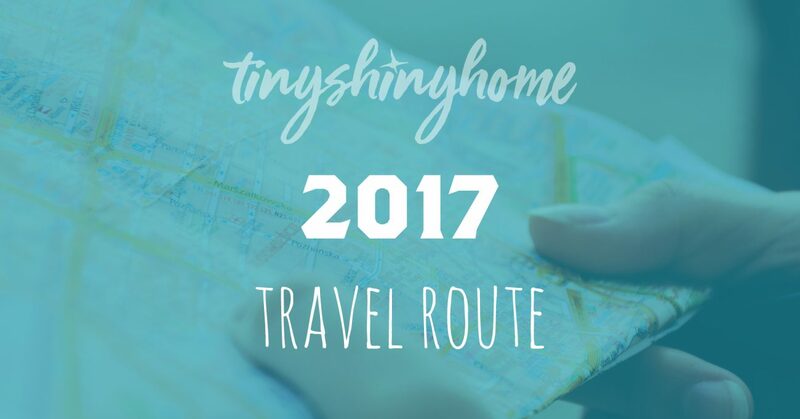 Below you'll find a map showing our travel route in 2017. Click on a marker to get a link to any articles we've written about that area. We'll keep this post updated so you can follow along with us. Enjoy! Still in Indiana at the start of 2017. The renovation took nearly 7 months total and we left Indiana at the end of March. Want to see the whole process? Had to stop in and see Jon's family before we headed back out. Also had quite a few loose ends to tie up. We spent the week here in non-stop catching up with people and getting stuff done mode. Whew! Our first official boondocking spot was with an awesome family in Alabama. They let us park at their pottery studio, taught our kids how to throw on a wheel and showed us so much kindness. Stopped back at one of our favorite parks in Alabama for a night of waterfront breeze, cleaning the fresh tank and preparing for our first long term boondocking gig. We used Boondocker's Welcome to find this rad little restaurant outside of Fairhope, AL. Which is a rad little town in it's own right. The owner plans on traveling full time in the near future and was so awesome. 4 days off solar and buckets of water got us prepared for our week stay at the beach with no hookups. Stayed overnight at a wildlife preserve on the way to the beach. Had amazing tacos at Tacos and Beer and met up with some traveling friends. Had to spend the rest of the week here instead of the beach. Not bad, though. Got to charge our batteries up, get some decent showers and dry things out. Humidity at Rutherford was so bad everything was wet inside. Overnighted at Huntsville State Park and wished we could have stayed longer. Beautiful spot with a huge play area for the kids and even met another traveling family next door! Made a special stop to meet up with the family that sold us the Airstream and show them the renovation. Spent the week at Caprock Canyons State Park hiking, biking and excited for low humidity! Hung out at a beautiful Harvest Hosts winery (Bar Z Winery) for the weekend waiting to get our brake controller looked at on Monday. Stayed at an Alpaca Farm and then some BLM land on the Cochiti Lake. Explored Bandalier National Monument, Tent Rocks and a bunch of museums in the city. With a cold front bringing sucky weather to anywhere close by, we drove 4 hours south to Las Cruces where the camping was free and the weather was warm. Moochdocked at some friends' house, bought a ton of stuff on Amazon and ran way too many errands while we were in civilization. Boondocked overlooking the incredible mountain range and hiked to our hearts' content. With wildfires mucking up Sedona's views and the heat index rising we climbed a few thousand feet in elevation for pine trees and cooler temps. Back to Phoenix for Ada's surgery. We stayed at Lost Dutchman State Park. It was so hot we were pretty much the only ones there! Overnighted at a city park on our way to get our brakes looked at. There was a ball tournament going on. It was crazy. Spent all day trying to fix our trailer brakes and finally narrowed down the problem. Still not fixed yet, though. After a long, frustrating day of brake issue troubleshooting, overnighting right on the coastline was just what we needed. Cool temps and ocean waves. We finally knew what our brake problems were, but needed a brake shop to get inside the wheel hubs and fix them. Found a place here who could look at them the same day. Overnighted and then got out as quick as we could. 100+ degree temps at night is no fun. Had to stop over here on the way up to Mammoth Lakes because our truck needed a new Turbo. When our spot in Mammoth Lakes wasn't available we headed a bit further north to find a spot on Mono Lake. Finally made it to Mammoth Lakes. Trying to lay low until the holiday weekend is over so we can avoid the crowds. We just had to go back to Lee Vining. We drove the Tioga Pass to see Yosemite, visited Bodie and canoed Mono Lake. Moocdocked on a friend's farm, visited the coast and took a San Francisco day trip. Overnighted here on our drive up the Hwy 1 coast. Beautiful spot overlooking the ocean. Spent 3 nights enjoying Junior Ranger programs and beautiful ocean views. Spent a night here, got some work done and flew a kite on the beach. Spent the week with our friends the Currens (Currently Wandering) swimming, canoeing and meeting new friends. Tried to visit the Tillamook Cheese Factory, but it was under construction :( We still picked up some amazing cheeses and meats, though! We went crabbing! It was so much fun. Boondocked for a couple of nights and some people's house on the way to Olympic National Park. Hiked and explored the rain forest all week. Explored the other side of Olympic National Park. Took the Airstream on a ferry across the bay to explore Port Townsend. A quick overnight at a farm and iPhone fixes at the local Apple store before heading East. A short detour to meet some traveling friends for a night. So much fun! Rocked a secret boondocking spot for over a week, enjoyed the sounds of the river and the quiet of the woods. We walked on a glacier!!! So cool!! Spent the week here hiking and exploring beautiful Banff National Park. Spent a few rainy days here waiting on some packages and setting up a new hotspot with AT&T. Overnighted at a good friend's house on the way to warmer temps down south. Desert, warm temps and beautiful national parks. We likey. Spent a night here with full hookups to wash the Moab mud off! Spent a week here, got some packages delivered, and stayed with a lovely family. Stayed at the worst RV park ever over night on the way to California. Hung out here for a few days getting ready for the Santa Rosa fire victims drive. Spent the day receiving items from tons of generous people to take to the victims of the Santa Rosa fires. Drove them to a children's shelter the next day. Overnighted here on our way south. Spent a week here getting a cold start issue fixed on the truck. While we were still dealing with some truck problems, the Pinnacles were such an amazing place to Boondock! Cleaned up up all the weird mineral dust from Trona Pinnacles, a few more truck fixes and getting ready to go to Death Valley! Spent the weekend celebrating birthdays, hiking and enjoying the lack of cell signal! Back to civilization to get some shipments, meet up with friends and celebrate more birthdays! Boondocked outside Las Vegas and met up with so many other travelers. Got stuck here while we decided what to do with our truck. Spoiler! We bought a new one. Goodbye 6.0. Moochdocked for a few days with fiends and finished outfitting the new truck. Spent a week here enjoying being back on the road again, hiking and getting work done. Back to Phoenix to spend Christmas with friends! After a couple of weeks of campgrounds and friends' driveways it was time to get back out into nature. And the middle of nowhere! Our final stop in 2017 was the beautiful Sierra Vistas. Plenty of hiking, chilling and planning for 2018.